Tyler has a football scholarship to Stanford, a hot girlfriend, and a reliable army of friends to party with. Then his mom kills herself. And Tyler lets it all go. Now he needs to dodge what his dad is offering (verbal tirades and abuse) and earn what his dad isn’t (money). Tyler finds a job that crashes him into Jordyn, his former childhood friend turned angry-loner goth-girl. She brings Tyler an unexpected reprieve from the never-ending pity party his life has become. How could he not fall for her? But with his dad more brutally unpredictable than ever, Tyler knows he can’t risk bringing Jordyn too deeply into the chaos. So when violence rocks his world again, will it be Jordyn who shows him the way to a hopeful future? Or after everything, will Tyler have to find it in himself?" Thoughts: You guys, I cannot tell you enough how much I absolutely adored this novel. I wanted to cry and scream and so many other things with the main character Tyler, but mainly I just wanted to hug him. This novel truly touched me, and now I feel that it's my job, no, my duty to inform you guys of how extraordinary NOT AFTER EVERYTHING is. Tyler has pretty much given up. He's angry and simply tired of it all. OVER IT! Once upon a time, he was the football star and had plans to go to Stanford. That all changed the instant the moment his mom killed herself and destroyed their dreams for him. She clearly didn't want to see it through, so why should he? Now he's working at Subway, trying his best to avoid his former friends, and while he's still sleeping with Sheila, it doesn't mean he's into it or into her. Ham and cheese sandwich, anyone? Little did he know that even though he was through with his life, his life wasn't through with him. It wasn't until he was fired from Subway (for getting into a fight!) and starts working at a photography studio that things started falling back together. First off, I have to tell you guys how much I loved Tyler's point of view. Have you ever read a book where the main character was suppose to be angry but wasn't depicted as so? Half-assed, even? Well, this isn't the case. You know from the beginning how extremely devastated and furious Tyler is. He's not afraid to let his outrage out. On top of that, his abusive father simply doesn't give a hoot. Get a job, feed yourself, because he's certainly not spending money nor helping Tyler. He just doesn't care about him. Not even one iota. Anyone would react to grief and abuse the way Tyler did, and the author does a fantastic job of portraying all of this. Plus hey, male point of view? My favorite! Also, I just want to take a minute and tell you guys how much I adored Henry (aka Jordyn's stepfather) and Jordyn herself. They were definitely the highlight of this novel, and NOT AFTER EVERYTHING wouldn't have shined as brightly without them. Oh, and hello, Tyler's dog? I don' know about you guys, but I love it when an author writes about a character's fabulous furbaby. Captain, I wish you were my dog! There will be heartache, and there will be pain. You'll hate people and fall in love, and probably feel all sorts of mixed emotions, but isn't that the best? I just love it when a novel touches me the way this one did. Gah, just talking about it makes me want to pick up my copy and reread it all over again. Will there be a sequel? There should be a sequel. Just saying. 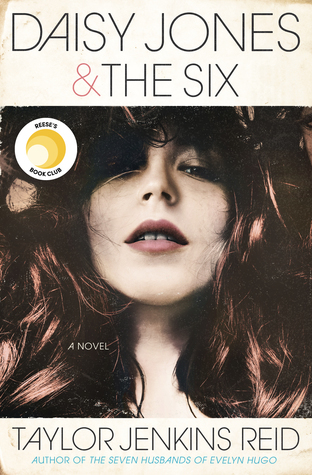 I highly recommend this novel to fans of SAVING JUNE, THE SURVIVAL KIT, and IN HONOR. This is one of those books that will stay with you long after you read the last page. 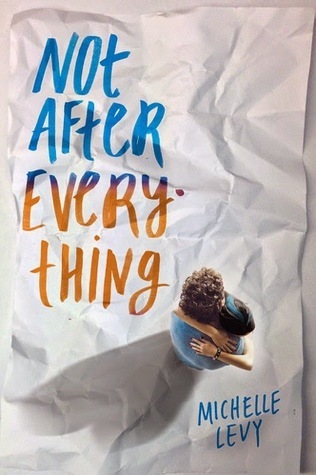 Giveaway: Thanks to the fabulous people at Penguin Random House, I am giving away a copy of NOT AFTER EVERYTHING. All you have to do is fill out the Rafflecopter form below. This giveaway is only open to US participants, so HURRY...enter now before it's too late! Cute cover. I can feel for Tyler already....it's tough when our dreams don't work out. The plot sounds so good. I wasn't going to enter until I read the summary. I usually don't read this type of book, but it sounds so good! The cover is adorable! Thanks for the giveaway! Very excited about this book! Plus that cover is gorgeous! nama obat herbal dari de nature yang sangat ampuh mengobati dan mengatasi segala jenis penyakit kelamin . Penderita kadang merasa enggan melakukan pemeriksaan karena membayangkan dokter yang akan melihat organ kelaminya. Tapi ingatlah bahwa faktor malu itu yang bisa menjadikankan penyakit anda ini semakin lebih serius. Misalnya dengan munculnya rasa gatal-gatal pada daerah yang terinfeksi.